Playful Games’ Creativerse is a solid free-to-play substitute for Minecraft, but being free-to-play, it has to make its money somehow. There are already options for speeding up building in the game, and in the next update, players will also be able to purchase a few new options with Creativerse Pro. Creativerse Pro requires a one-time purchase of $19.99 and gives characters gliders and flashlights to make exploring their worlds a little easier (and safer). It also increases inventory space and stamina and allows for more options in world customization, such as lowering the gravity or mob population. As such, free players will no longer have the option to create more than one world and cannot use advanced customization options, though they can play freely on any world that is run by a paid player and uses those options. Creativerse Pro will be coming with update R33, which also introduces machinery, a feature Playful considers part of the core game that will be available to all players. 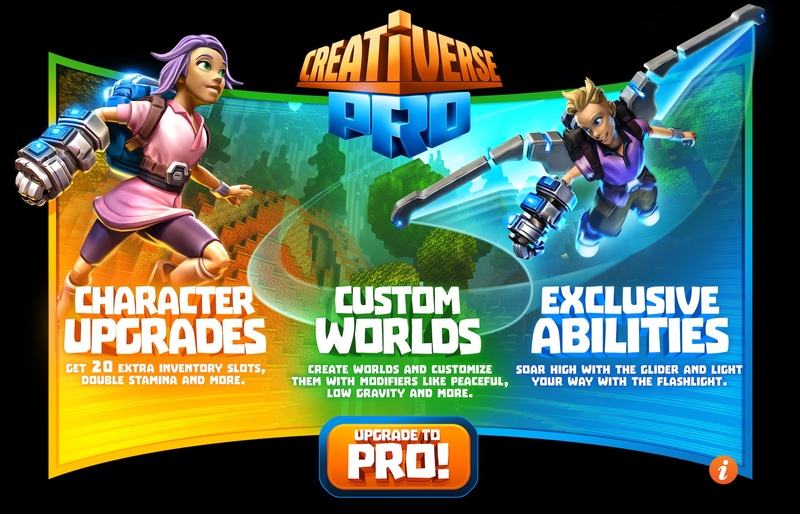 You can read the full details on Creativerse Pro on the game’s website. You won’t need to purchase Creativerse Pro, you can still play for free without spending a penny. Pretty awesome game, dev’s are up front with what they’re doing. While continually adding new stuff. looking forward to R33 update, dev’s need to make money to keep game going so no problem with the Creative pro.